A quick view of the most influential metrics in Martindale. Martindale is a city in Caldwell County, Texas, United States. It is part of the Austin metropolitan area. The population was 1,116 at the 2010 census. The city hosts an egg hunt each Easter. Every Fourth of July, the town holds an Independence Parade leading to a town picnic at the oak-shaded river bottom. In recent years, Martindale has also attracted a surprising number of film scouts who are smitten by the town’s turn-of-the-century charm. 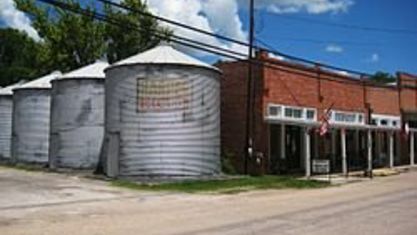 As a result, various television shows, music videos and movies have been filmed in town: most notably A Perfect World, starring Clint Eastwood and Kevin Costner, The Newton Boys, starring Matthew McConaughey and Ethan Hawke, and New Line’s 2003 remake of The Texas Chainsaw Massacre. Over the years, each subsequent film crew has left its mark on the town. A strand of wood beams sits on a vacant lot next to the bank—all that remains of a saloon that was constructed for one of the westerns. In 2004, Carlton Carl, a Washington D.C. lobbyist, purchased 36,000 square feet (3,300 m2) of commercial property in downtown Martindale. 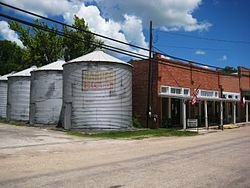 A partial inventory of Carl’s purchase includes three empty general stores, a former bank, a cotton-seed weigh station, several warehouses, a movie-set courtroom, an aquarium filled with cotton plants, a seed elevator, 16 seed silos and 300 feet (91 m) of frontage on the San Marcos River. Carl has been working closely with the residents of Martindale to plan the next phase of the town's rejuvenation. View our selection of available properties in the Martindale area. Check out the latest demographic information available for Martindale. Get to know Martindale better with our featured images and videos. Browse through the top rated businesses in the most popular categories Martindale has to offer.